Light from my Neighbor’s Front Yard (4/2/16 - 5/2/16) is comprised of an entire month's worth of data collected from ROOM #3. ROOM #3 is a 3' wooden cube with one window. 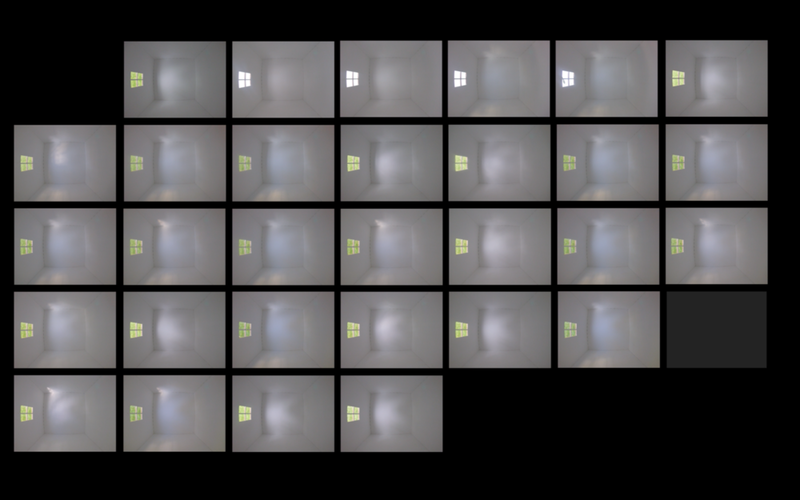 A camera was installed at the top of the room, and it took a photograph every 30 seconds for 12 hours a day. This room was installed from 04/02/16 to 05/02/16 in my neighbor, Gretchen's, front yard. 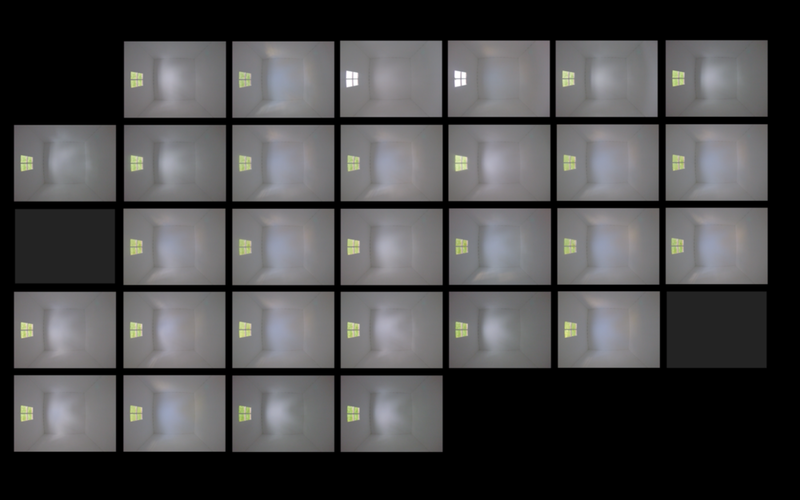 In a video compilation, thirty-one days are laid out in a grid format. Each day's data began at 8:00 am and ended at 8:00 pm. On three days out of the thirty-one recorded, the camera had a technical error and turned itself off; a grey square appears as a replacement. Video, color, 24:03 (loop); projection.